The Drink Ink’s contract labeling sleeving services present a cost effective and low-risk solution for companies and individuals in shrink sleeve labeling. To make the process easier and more turn-key for our clients, we are capable of supplying the shrink sleeves as well. Whether your requirement is a few for prototypes or a full on production run of tens of thousands of units, The Drink Ink has the resources and expertise to assure your packaging looks great and consistent from the first product on the line as well as through the last. Our sleeving line consists of a shrink applicator, conveyor and steam tunnel which perfectly shrinks the label to the contour of your product and accommodates a wide range of product shapes, sizes, and materials. Our shrink sleeve applications include full body shrink sleeves as well as multi-packs. The steps in our contract sleeving process include; receiving and unpacking your product, inspection, placing on the conveyor, applying the steam, quality control inspection, packaging, palletizing and drop shipping to the customer. 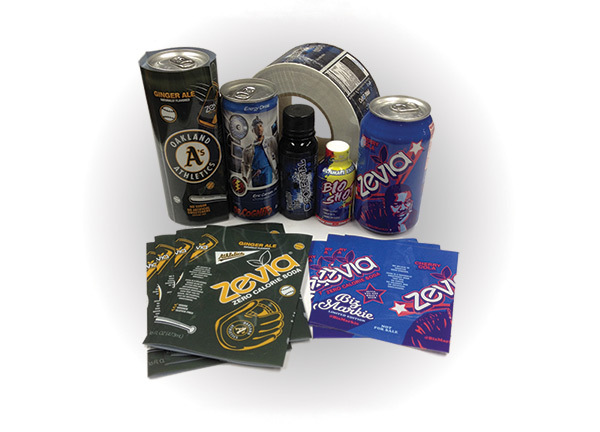 Are you a new company or have a new product and not sure where to get started with shrink sleeve labeling, talk with The Drink Ink today.